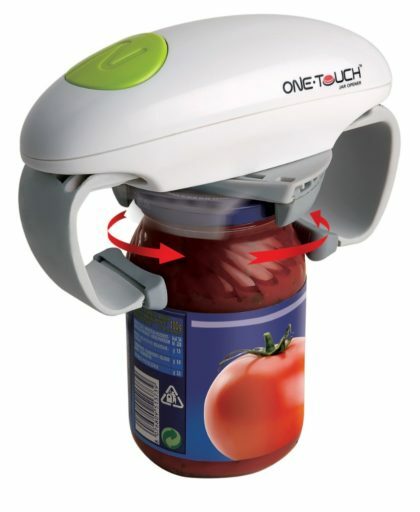 Innovative hands-free One Touch bottle opener opens all the jars with just a touch of a button. Its ergonomic fit suits most hand sizes and both hands and is easy to use for everyone. 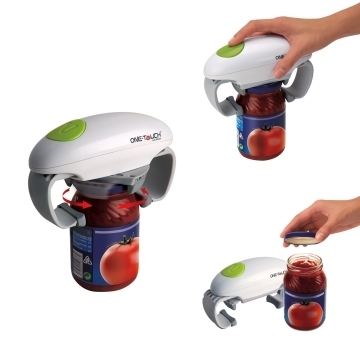 The device runs on 2 x AA-sized alkaline or rechargeable batteries (not included) and it opens all jars with 28 – 103 mm diameter lids.